“Ms. Santos’ speech, for me, was very profound and candid. I always had great respect and admiration for her as a person, public servant, and actress. After the lecture, that respect and admiration hot-air-ballooned. It became clear to me that even if this person is now worthy of having a constellation named after her, she is still as human and feet-on-the-ground as possible.” (written by Ringhithion at 07:16 pm, posted in VS-R egroup on 13 July 2005). 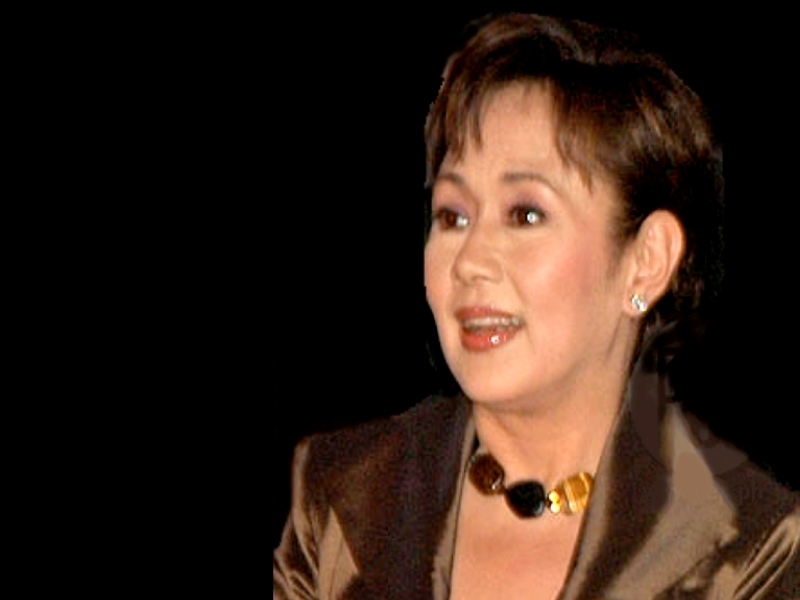 Producer/ actress Charo Santos-Concio speaks of her as a “passionate thespian, her filmography boasts of a list films that are audacious, artistic, classic and socially relevant. Inevitably, she has brought to the limelight ordinary people with extraordinary lives and has created awareness of various socio-political issues.” (also from Sights and Sounds). This entry was posted in ARTICLES and tagged Ang Sarap ng Buhay Kapag May Isang Vilma Santos, ARTICLES. Bookmark the permalink.